Hey LA. 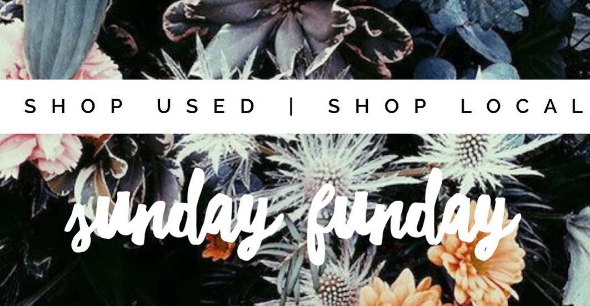 Artistic and collective Shop Used | Shop Local is presenting their first Sunday Funday Party of 2017 event this weekend May 7th. Calling all creative local vendors and artists from Los Angeles area to end the weekend on high note! This is the perfect event to display your local talent and homemade crafts of all kinds. Shop Used | Shop Local will be hosting their party at El Cid restaurant in Silverlake Los Angeles. In terms of this awesome event taking place this Sunday, it will be “popping” with four live bands, full brunch plus a bar. Shop Used | Shop Local is a unique collaboration that supports local creative types in Los Angeles to fully express their interests, ideas and skills and show them off with the rest of the community. This fun and friendly event is for those who love to express support and interest in helping build community in Los Angeles through Shop Used | Shop Local. Some favorites you can’t miss are 15 local vendors and artists such as Lavender and Threads and Happy With A Secret will make an appearance. There will be $10 tattoos! Yes, real tattoos by professionals will be there and their list gets full so come early to get yours. Tarot readers will be around for those interested in a future storytelling. Plus, a yummy brunch and margaritas will be available to purchase. This will all be happening while racks on racks on racks of vintage and homemade clothing will be there to shop from. To add, there will be four live bands playing it isn’t a party without some live music. Artists New Language, Wam Dingis, Aj Froman, and Maniac will be joining us this Sunday Funday dropping some tunes for you to enjoy. Make the most of your Sunday with great things to do in LA like Sunday Funday Party 2017. 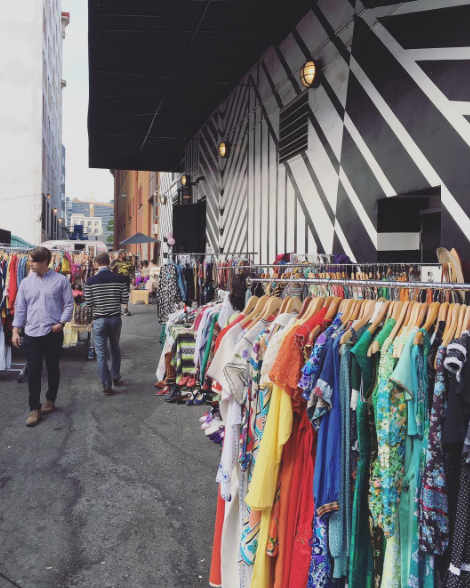 Shop Used | Shop Local wants you to splurge on these local designers and vendors plus live entertainment for only $5 each. Of course, we can’t forget the margaritas! The party starts from 12pm-5pm located at 4212 W. Sunset Blvd all ages are welcomed. For those who are interested in becoming a vendor email shopusedshoplocal@gmail.com for more information.